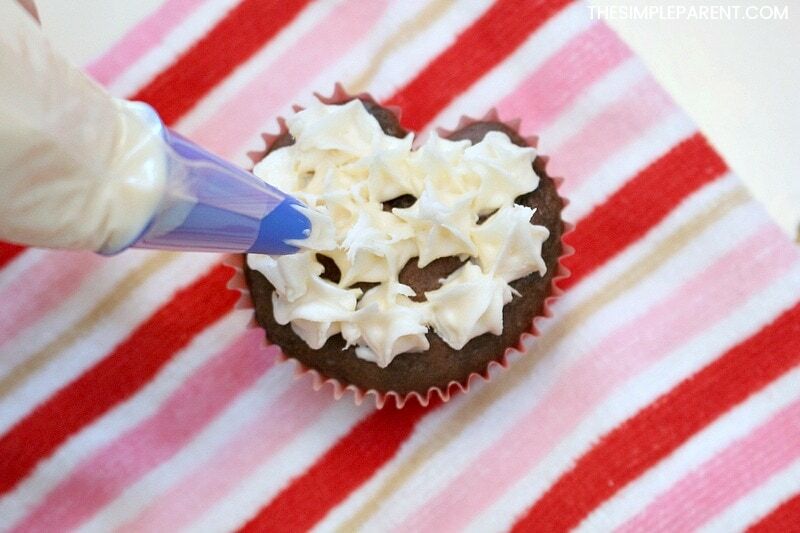 Home » Valentine's Day » Make Heart Shaped Cupcakes with This Easy Trick! 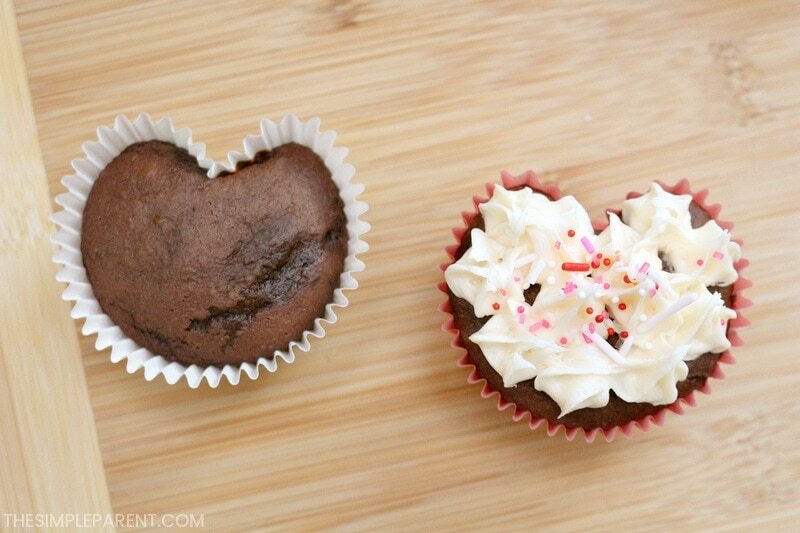 Make Heart Shaped Cupcakes with This Easy Trick! Want to celebrate Valentine’s Day with your kids in a fun way? 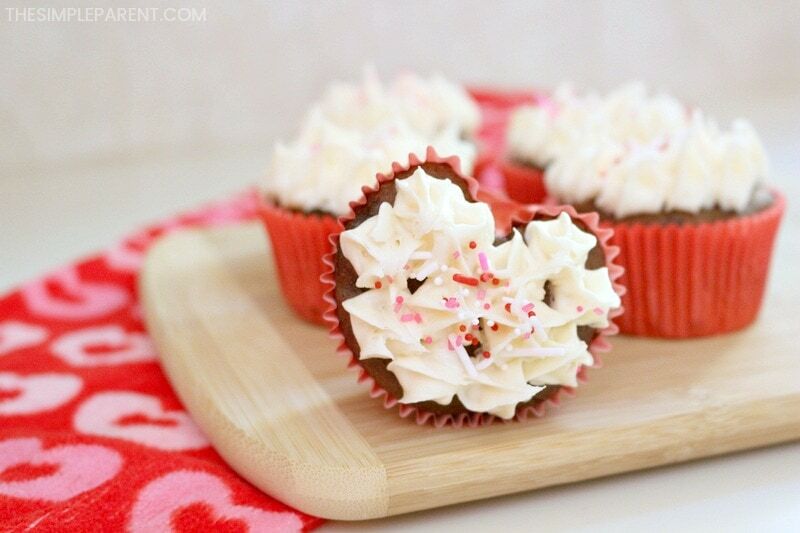 Make heart-shaped cupcakes together with this easy trick! It’s a fun way to celebrate, especially if anyone in your family has a sweet tooth! Around our house, Valentine’s Day isn’t just about celebrating the love between Justin and me, it’s also about the love between all of us. So, we use Valentine’s Day to celebrate our entire family. Baking is one of Carrigan’s favorite things to do. She loves making brownies and we made easy brownie pops together. But since my birthday is also in February, I wanted cupcakes! She was happy to go along with my suggestion but wanted them to have hearts. Instead of just decorating them with hearts I decided to show her how to make heart cupcakes even without a heart shaped cake pan! It’s an easy trick that works with any kind of cake. 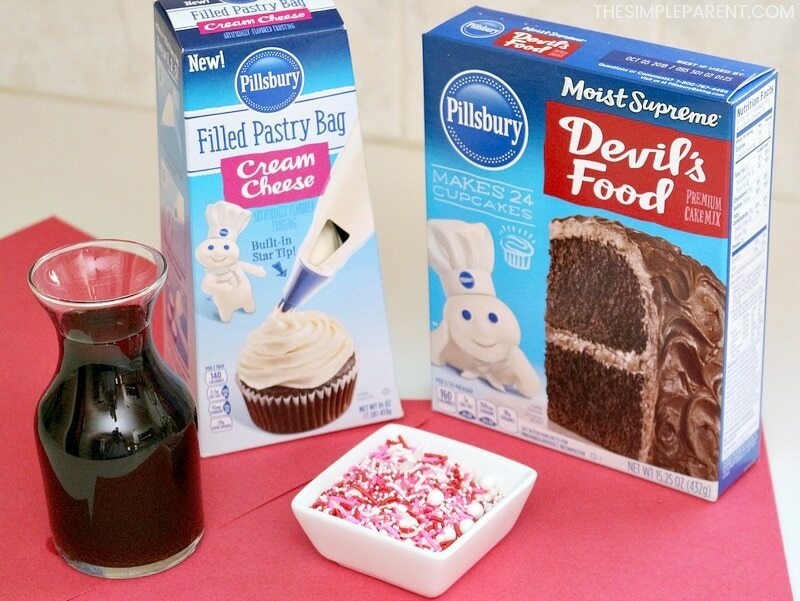 Valentine’s Day is all about chocolate and sweets, so we used Pillsbury™. Devil’s Food Cake Mix! Pillsbury baking mixes and frostings are a regular part of our lives. 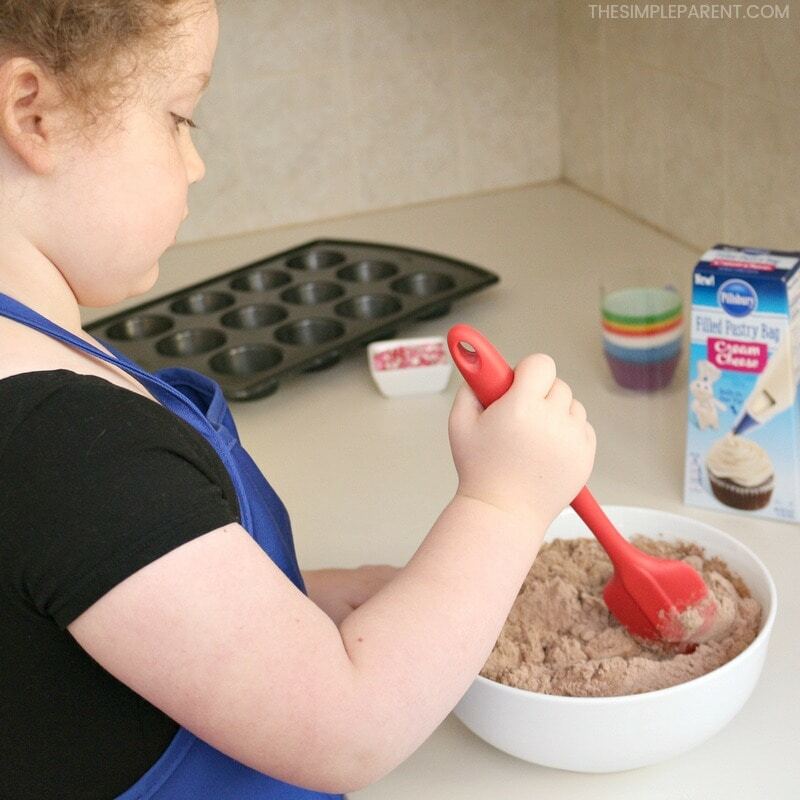 Pillsbury helps make every baking occasion into an easy celebration! We can celebrate anything we want without having to make everything from scratch! For these quick cupcakes, we used one of our other tricks and made soda cupcakes! It turns any cupcake or cake recipe into a two-ingredient recipe! 1 Pillsbury Pastry Bag Cream Cheese Frosting (I love these because they make set up and clean up SO easy! 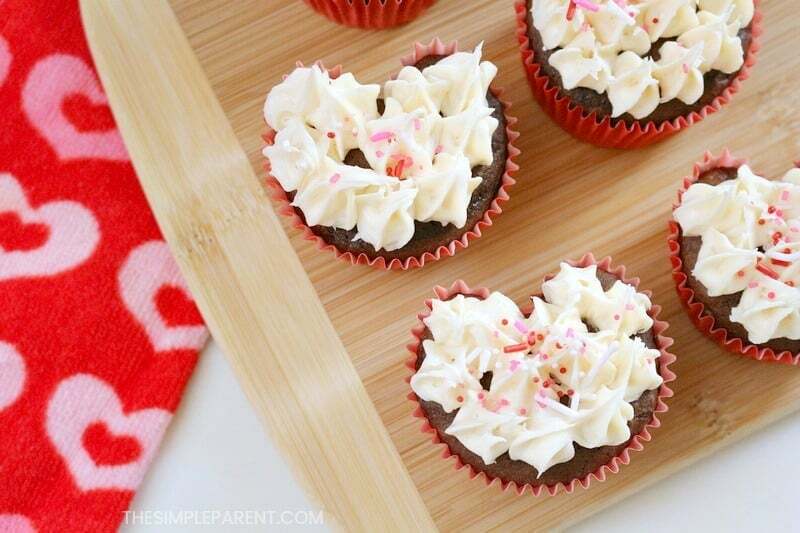 To make these heart-shaped cupcakes, you’ll also need a few more supplies! Line a muffin tin with the cupcake liners. Mix the Devil’s Food Cake mix and the can of soda together in a bowl. Spoon the cake batter into cupcake liners until they are each 1/2 full. Don’t overfill them or they won’t hold the heart shape. Place a marble between each liner and the edge of the muffin tin cup. Bake cupcakes for 20-25 minutes or until a toothpick inserted in the middle comes out clean. 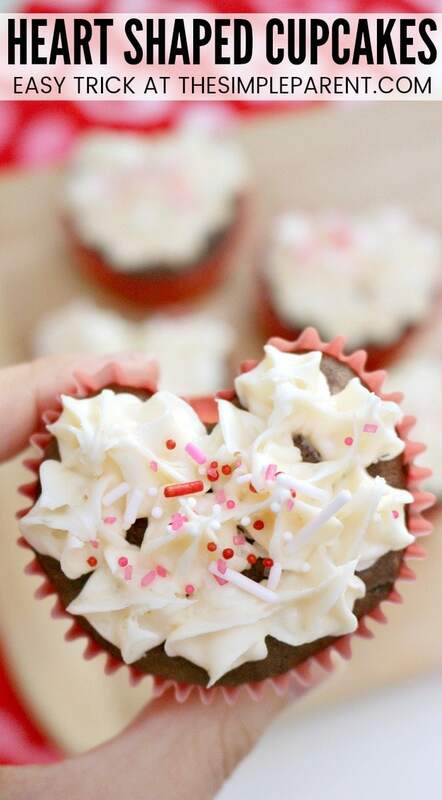 Allow your heart-shaped cupcakes to cool completely before frosting with the Pillsbury Pastry Bag Cream Cheese Frosting! Preheat the oven to 350 F and line a muffin tin with liners. Mix the Pillsbury Devil’s Food Cake mix and the can of soda together in a bowl. Beat with a mixer for 2 minutes. Spoon the cake batter into cupcake liners until they are each 1/2 full. Allow to cool completely then frost and decorate! 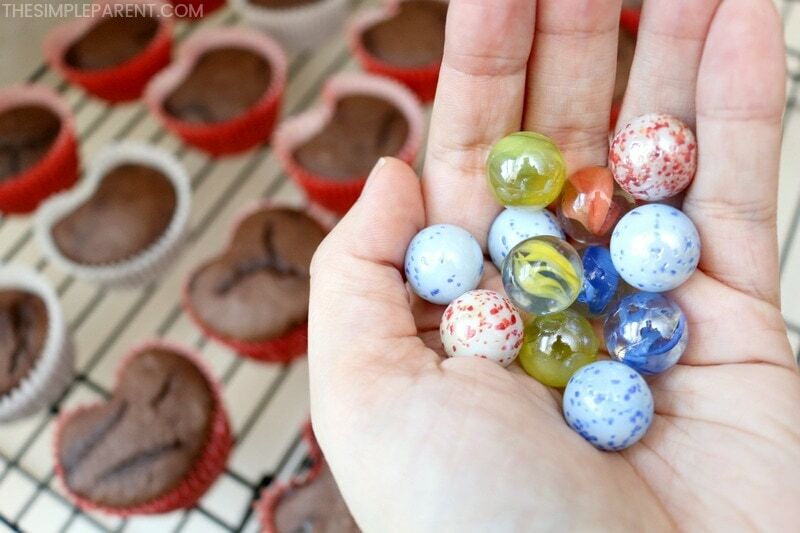 The marbles that we played with as kids and that your kids might have right now are the secret to making heart-shaped cupcakes without needing a special pan! There are a few things to watch out for when you’re making the cupcakes. 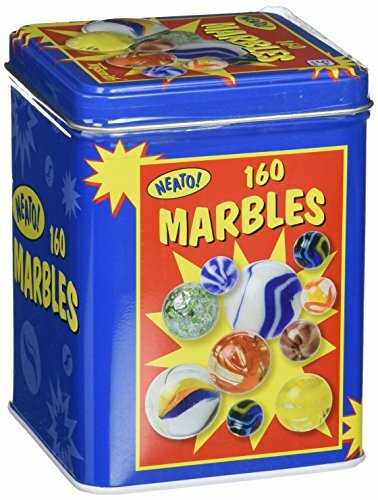 You need one marble per cupcake liner. You also want to make sure that you don’t overfill each muffin liner. Fill each one about halfway full. If you overfill, there’s a chance that you won’t get a good heart shape as your cupcake bakes and rises. After we made our chocolate heart cakes, Carrigan wanted to share the love with the rest of our family and some of her friends. Everyone loves cupcakes so they’re a good way to let the important people in your life know that you love them this time of year. Keep it simple when it comes to decorating. Pastry bags filled with frosting and sprinkles work great! It’s a set up that lets the kids decorate their own and even lets the parents get creative too without it being stressful! Carrigan decorated gift tags for Grambo, Grammy, and Grandad. Then we put each cupcake into a cupcake holder and Carrigan had a sweet treat to share with some of the most important people in her life! 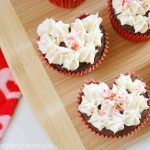 How do you make a heart shaped cupcake cake? 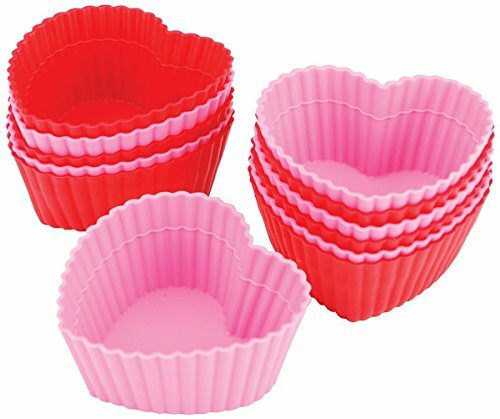 If you want to use your heat shaped cupcakes (or even regular cupcakes) to make a larger cupcake cake that is shaped like a heart, it’s pretty easy to do. The trick to make it super easy is to bake your cupakes in a heart shaped pan instead of a regular muffin tin! 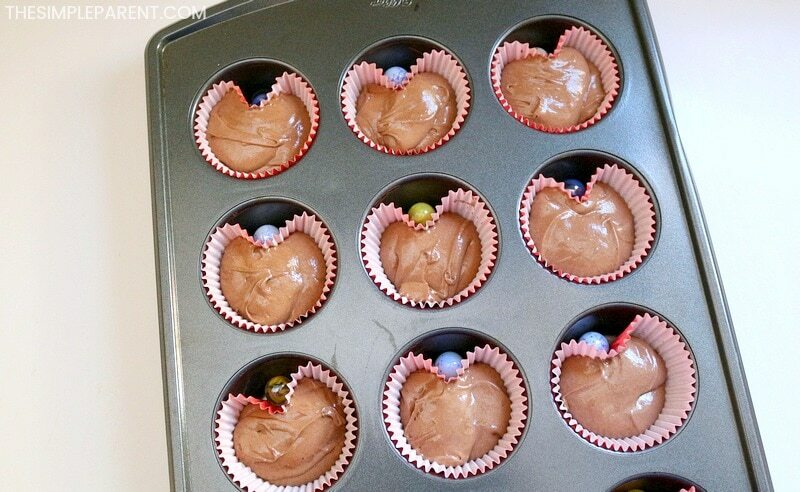 All you have to do is put your cupcake liners in a heart shaped pan and then fill them about halfway with batter. Bake them you’ll have a heart shaped cupcake cake right out of the pan. I will warn you that the cupcakes won’t all be perfectly round but it’s SO much easier than trying to fit all those round cupcakes into a perfect heart shape! One more tip, is to just remove each cupcake from the pan and place it on your serving dish so you can piece the heart back together quickly. 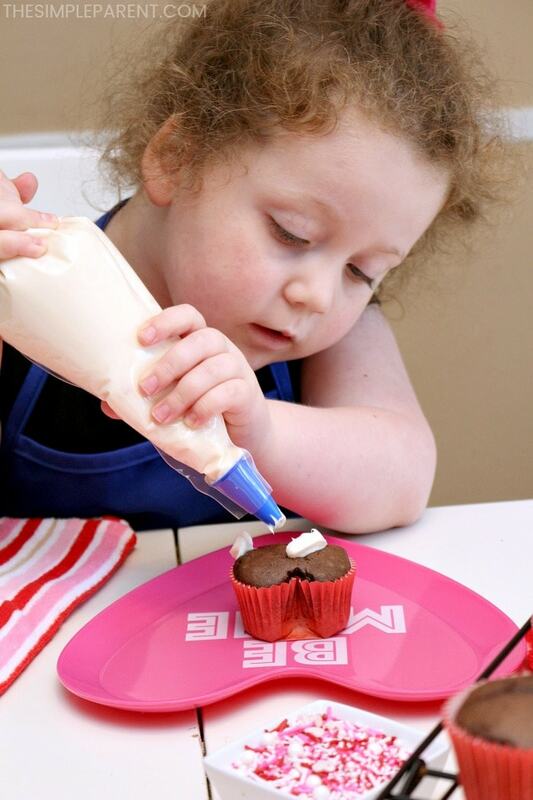 If you try the flipping the pan method, it can get complicated when cupcakes are everywhere! It can be done, but just takes more time to put them back together! 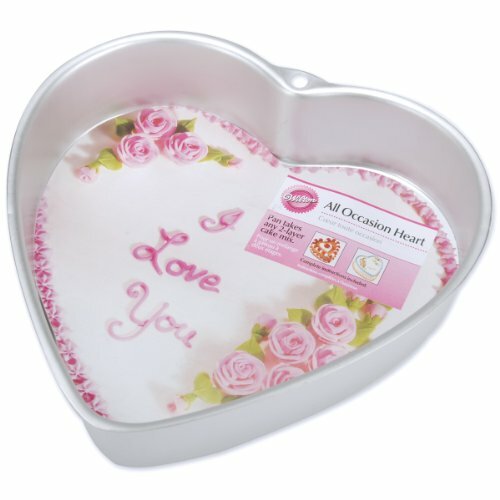 You can get a heart-shaped cake pan on Amazon. Do they make heart-shaped cupcake liners? I have never seen heart shaped paper cupcake liners, but you can get silicone cupcake liners that are heart shaped. 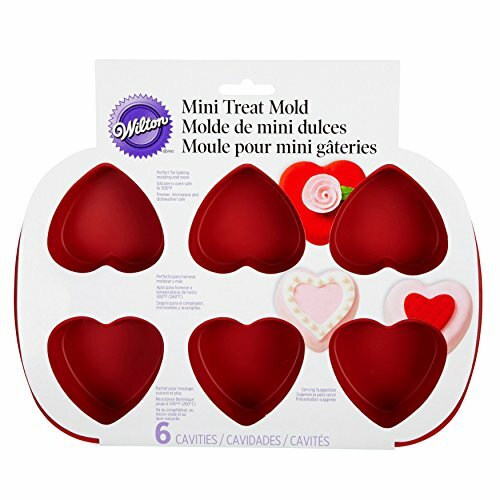 You can also get a silicone mold try to make heart shaped cupcakes. Here are some of our favorite products to help you make heart-shaped treats this Valentine’s Day!